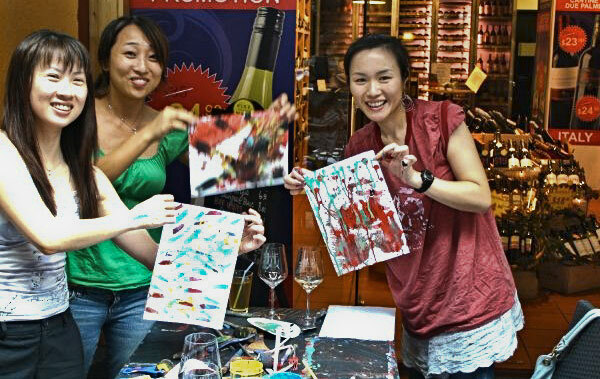 Whether you are a company looking for a fun and creative team-building activity , an individual looking for a collective workshop or private art-coaching sessions to explore your talent, or a parent in search of the perfect creative experience for your child, here is your chance to jazz it up with a swing of art in your life. 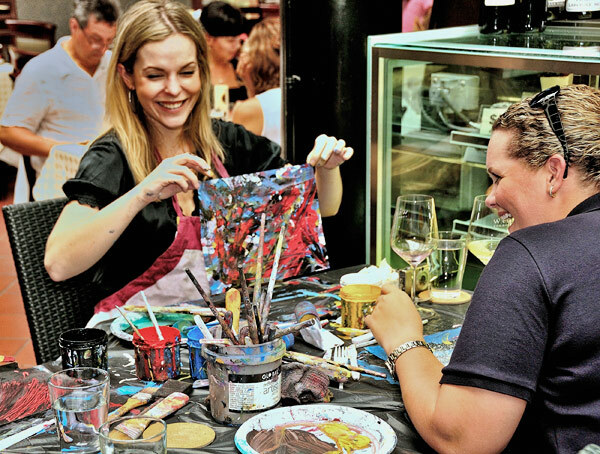 A fun and immediately hands-on workshop to discover the endless possibilities of abstract painting and one's own creativity. A very relaxing and rewarding activity, as one can come up with very beautiful paintings from the first session. No thinking, no “learning” : experimenting by oneself is the key word, opening oneself first of all to internal feedback. Enjoying the flow of all participants creativity. Absolutely no previous knowledge/experience of arts or drawing is required. Children as young as 3 years old can be introduced to abstract painting, while adults get over their fears of being “not good in arts” or not creative enough, and of being judged. Teenagers find in painting an amazing way to express directly their emotions. Neither precision nor patience are necessary, so mentally or physically disabled people are also a perfectly suitable audience, as well as older people. Foster your confidence in your own creative abilities, discover your own creative voice! 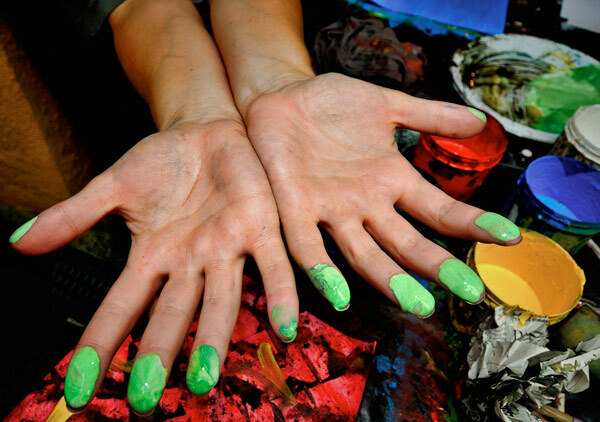 The techniques developed in the workshop breaks the common pattern of low self-confidence in one's creativity. Such objections as “I cannot draw”, “I know nothing about art” and I have no inspiration immediately disappear when one begins to experiment with the tools. Paintings which one does not like can be simply discarded anytime, although one is encouraged to experiment further on the painting until something happens that one finds beautiful. Brushes, foam rollers, palette knives.... and some more surprising tools! Check our Facebook page for info about our next workshops! Or even better, subscribe to our Newsletter to miss none of our activities!